Income restrictions apply and are determined via the Portland Housing Bureau's guide for 60% of the area median income. 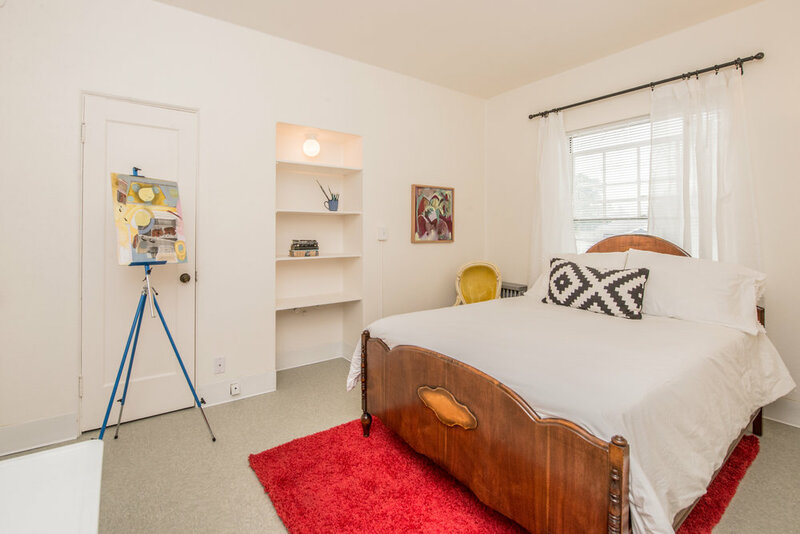 The complex boasts over 100 units consisting of both residential and artist studio spaces. Sizes of the spaces range from about 130 - 400 square feet. While about half of the units feature their own bathroom en suite, the other half of the units have dorm style bathrooms located throughout the building. The units all have shared kitchens, which are located on both the second and third floors. Most residents keep a mini fridge inside their apartments. The building has a laundry room with coin operated machines, a workshop for working on small projects, galleries, and community gardens. Public transportation is readily available by light rail or many bus lines. For rental inquiries, please see our Contact page for more information.